Author’s Note: On October 1, 2015 our town was shattered by the unthinkable. A shooter entered a classroom on our small community college campus and killed nine of our own as well as wounding nine others. My response that next day was a piece that reflected my feelings towards this beautiful community we live in and love. The following is my second time revisiting and my prayer is that you will see the hope and strength of our community. Do you remember meeting us? It wasn’t the introduction we would have chosen. 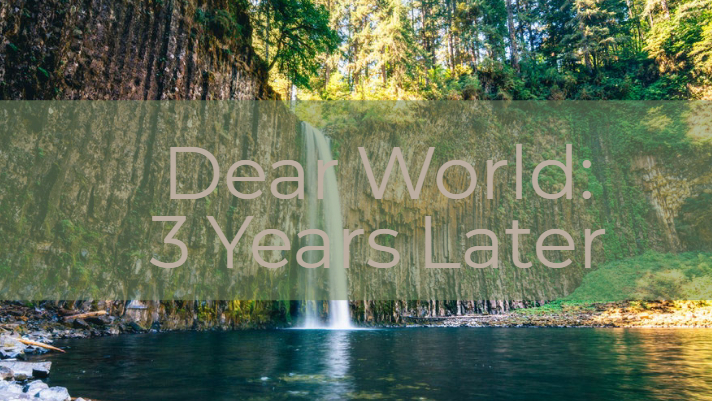 It’s been three years since you met our close-knit community on October 1, 2015. It was a beautiful fall morning until the sound of tragedy echoed against our quiet hills. The pain reverberated through our valley and tears flowed as our safe community felt anything but peaceful. No doubt you saw us as victims. What we were was an aching community trying to find our way to healing. Things would never be the same, but our strength would surge, and we would find what began to see as a “new normal”. Just a few weeks later the world would turn its attention elsewhere as other communities were rocked by the fear and violence we were recovering from. More souls lost as other towns and cities have struggled to make it stop. One thing we all have in common, we won’t ever forget that day or those we lost. We still care for those who will always carry a piece of our tragedy with them.